I had the incredible opportunity today to view the movie I wrote about a few posts ago -- NOBLE. I knew going in that it was about a real woman who wanted to make a difference in the lives of children in Vietnam, but I didn't realize I would be so powerfully moved by what she herself went through to get to that place. The movie takes you through the life of Christina Noble, an Irish woman who was presented with challenges through much of her life, beginning at a very young age. They broke everything but her spirit. They took everything but her dream. 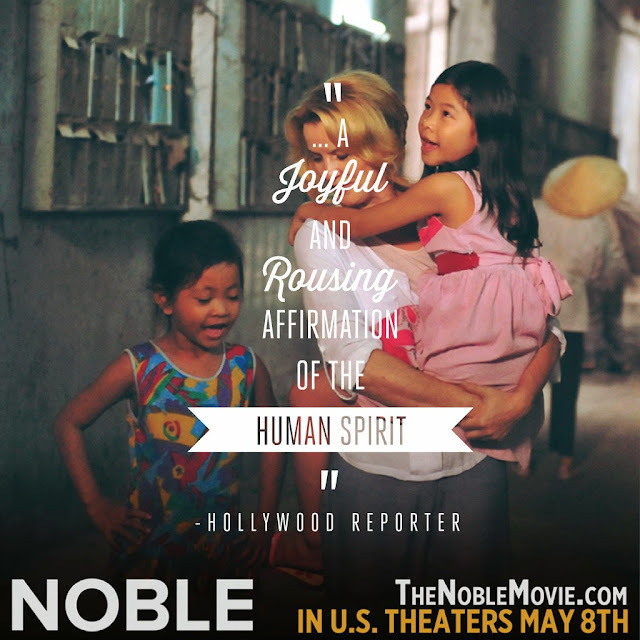 NOBLE, the award-winning feature film, is the incredible true story of a fearless Irish heroine driven by her daring vision who escapes the slums of Ireland and risks everything on the streets of Vietnam. The drive that fills Christina is inspiring -- she never gives up and never loses hope in her efforts to change lives for the better. 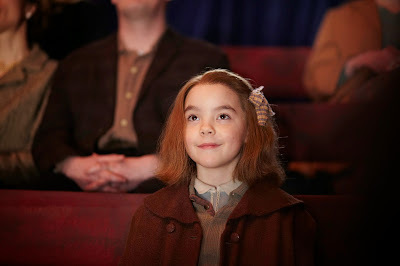 NOBLE, in theaters May 8, stars Deirdre O'Kane (Moone Boy, Paths To Freedom), Brendan Coyle (Downton Abbey, The Raven, Ailsa), Sarah Greene (The Guard, The Cripple Of Inishmaan), and Liam Cunningham (Game of Thrones, Hunger, Safe House). While not all of us are going to be led to move to another country and take on such a major endeavor, hopefully each of us who sees NOBLE will feel the desire to make changes in our own lives that will positively affect others around us. Even the simplest of gestures that bring a smile to someones face are worth it, and I know that I myself feel inspired to see how I can do more of my part and teach my children to do the same. Be sure to see NOBLE, which arrives in theaters May 8th. You won't be sorry, and if you're like me, you'll be wishing you could give that lady a hug by the end!